Ana Ramirez Zarate graduated from UCLA with a Bachelor degree in Sociology and Chicana/o Studies. 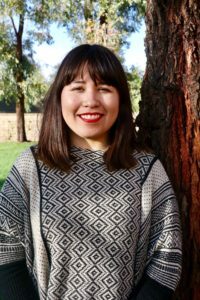 During her undergraduate career she was part of PATHS for US, a student project funded by the Bruin Excellence & Student Transformation Grant program (BEST) that focuses on the retention of undocumented students at UCLA. 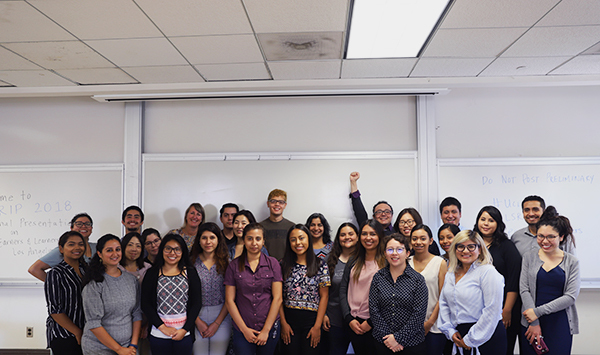 Ana began her undergrad at Fullerton Community College where she met a supportive undocumented student community that inspired her to continue her education journey and become a femtor to other undocumented students. She currently works as program coordinator for the Bruin Excellence & Student Transformation Grant Program (BEST) at UCLA which is a student-led initiative that fosters social justice leadership among campus activist. 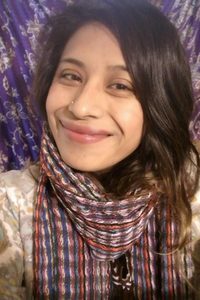 Saira Murillo migrated to the U.S. at the age of 8 and has lived in the Inland Empire (IE) ever since. 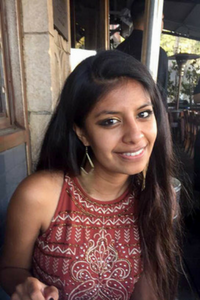 Growing up in the IE, Saira witnessed a lack of support for undocumented youth and their families; such as limited access to preventive care, resources for undocumented students, and local law enforcement collaboration with I.C.E. Now at the age of 24, Saira has been actively involved for almost five years in creating a space for undocumented youth where they can have the tools to self-advocate to live unafraid and unapologetic, especially in this crucial time where immigrant youth need to continue leading and shaping their own narratives. 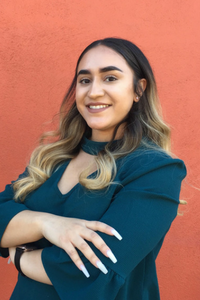 Saira hopes to continue contributing for a sustainable movement in the Inland Empire and she knows that by participating in the Immigrant Justice Fellowship it will be possible. Sandra Morales was born in Juayua, El Salvador and immigrated to the United States at 2-years of age. Sandra is the only sibling of six that’s undocumented, and this causes insecurity among her family. She’s been a TPS beneficiary since the age of 10, and she now finds herself in a limbo with her immigration status. 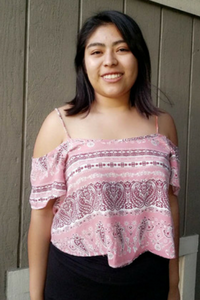 Sandra currently attends Sacramento City College as a Sociology major, and she hopes to have a career that focuses on education and law. Her biggest motivation and what keeps me wanting to fight for immigrant rights is the older generation of immigrants that paved the way for youth and are too afraid to speak out for their rights because they fear retaliation. Rubi Salazar is a full time student at College of San Mateo where she plans to transfer to UC Santa Cruz to study Marine Biology. 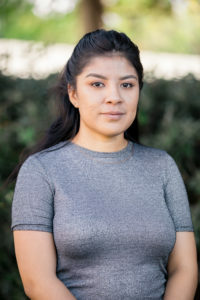 She currently sits on the executive board of the San Mateo Youth Commission for the second year, and is the chair of the immigration justice committee for the San Mateo Youth Commission where she guides the committee on immigrated related issues, especially affecting youth. Rubi has previously worked closely with Half Moon Bay City Council to help Half Moon Bay become a sanctuary city for immigrants. She helped reduce alcoholic beverage sings in Half Moon Bay corner stores along side the Coast side Youth Council were she attended the group for three years. Rubi has worked at Hassett Ace Hardware in the Garden department where she helped order plants, product, meet with vendors, and helped customers. Yael Pineda was born in the state of Morelos, Mexico. In 1999, at the age of four, she crossed the United States border alongside her parents, due to the lack economic opportunities her family faced while in Mexico. Yael’s parents sacrificed their lives, as many do day by day, crossing the dangerous and vast desert that masks the border between Mexico and the United States. She grew up in La Puente, California, where she believed that after high school, college was not an option due to her immigration status. 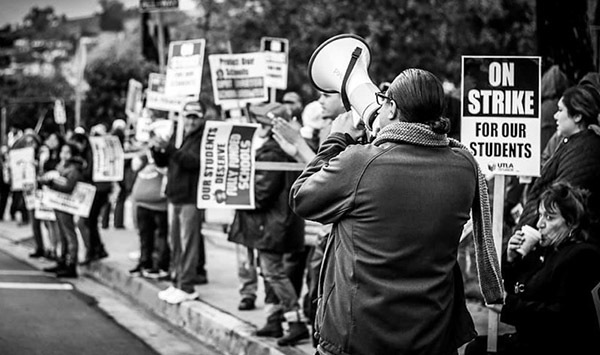 Since 2003, Yael participated in different protests and rallies, her parents fostered a passion for immigrant and worker justice. In September of 2017, Yael received her degree in Psychology and Labor and Workplace Studies from UCLA. Yenedit Valencia was born in Ayoquezco de Aldama, Oaxaca. She arrived to the United States at the age of 8. She is pursuing her B.A. degree at California State University, Fresno. She will be graduating in May with her B.A. in Sociology and with the Humanics certificate which is a certificate program in administration and leadership for community benefit organizations. Yenedit currently sits on the Board of Directors for the Central California Legal Services and co-directs Xiadani del Valle a traditional Oaxaqueño dance group.